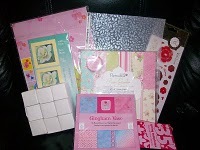 Alizabethy @ http://alizabethy.blogspot.com is offering some girly candy. Do go along and have a look at her lovely blog. Open until 31st May.